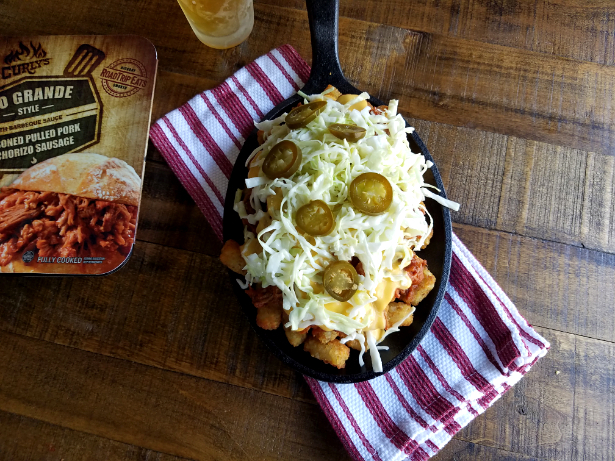 This recipe is sponsored by Curly’s RoadTrip Eats. 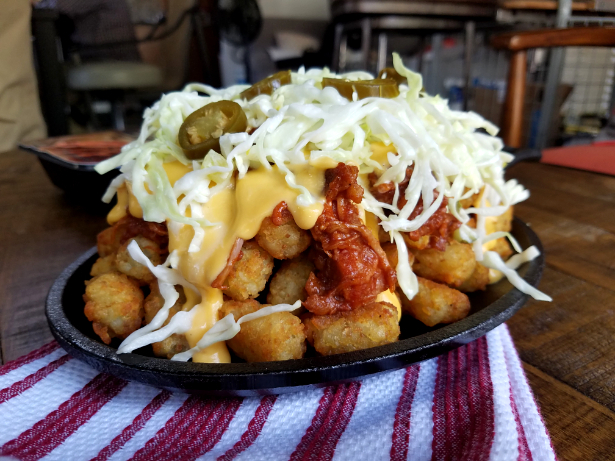 Even though I finished writing the tot book a few months ago, I can’t stop with the tots. I can’t believe I’m not sick of them yet! 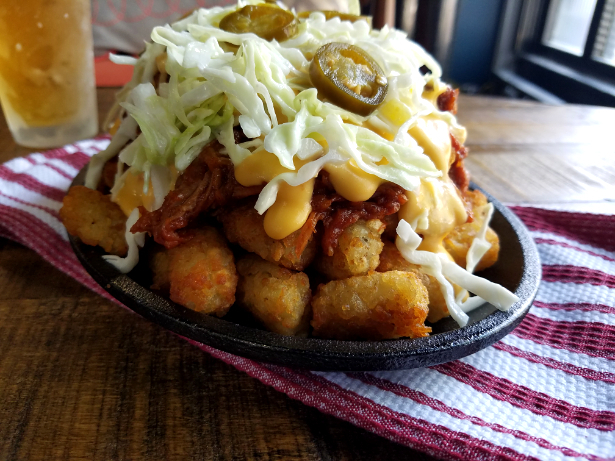 These tots are smothered in pulled pork, chorizo, a spicy cheese sauce, and a refreshing pickle slaw to cool everything down and help balance the heavy flavors. The best way to attack this thing is to invite a few friends, hand out forks, and go to town. I will be working with Curly’s RoadTrip Eats on a few recipes in the next couple months, and this is the first. It’s a really fun partnership and we have a ton of great videos and recipes in store, which you can check out at RoadTripEats.com! More importantly, they are giving away $10,000. If you go to Sweeps.RoadTripEats.com and vote for your favorite blogger (preferably me) you can enter for a chance to win! I would LOVE if one of my readers won the grand prize, so make sure to enter the contest! Voting for me will also show that you support the brands that help me keep this website alive. I like to make the slaw first and let it sit for a little to help the flavors come together. Notice the green flecks? Those are pieces of pickle! Next up is making that creamy cheese sauce. It’s a little tangy and a little spicy, but mostly just delicious. 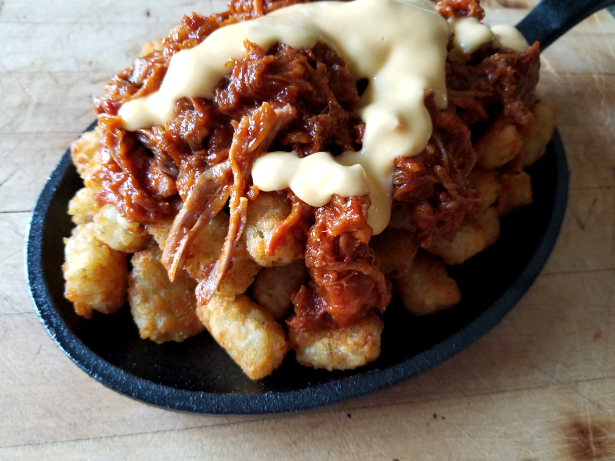 Top the tots first with the meat. Next drizzle that delicious cheese sauce on top. Finally top with the slaw and some jalapenos. Yum. When we were taking pictures of this, people started gathering around with forks in hand waiting to get the word that it was ok to eat. Once we said we were done taking pictures they attacked. Just look at that cheese dripping down the side! The best bites had a little bit of everything on one forkfull. 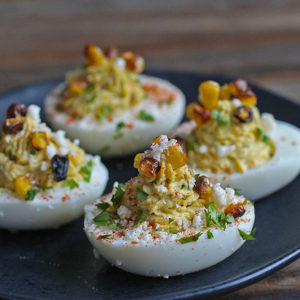 So you can go ahead and check out the other bloggers’ recipes and decide for yourself who's the best... and then vote for me! 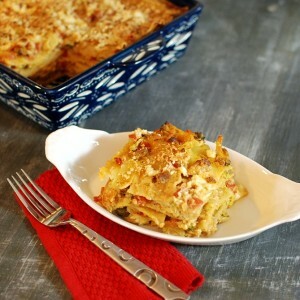 Check out the video of the recipe below, starring me! 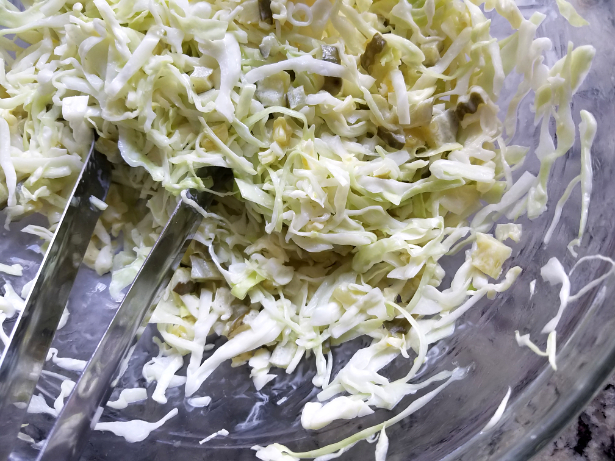 Mix all the slaw ingredients in a bowl and refrigerate while preparing the rest of the ingredients. Whisk the milk, milk powder, and cornstarch together in a heavy bottom pot. Bring to a simmer while whisking. Once you see the sauce thicken and the milk powder is dissolved, remove from heat. 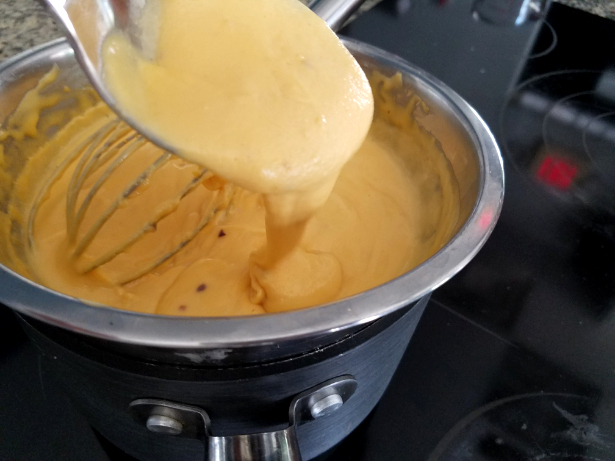 Whisk in the cheese. The cheese should melt in no problem, but you might need to turn the heat back on low briefly. Be careful with the heat at this point though cause the sauce could separate if heated too rapidly. Allow the sauce to cool slightly before adding the hot sauce, jalapenos, and red pepper flakes. Preheat oven to 450. 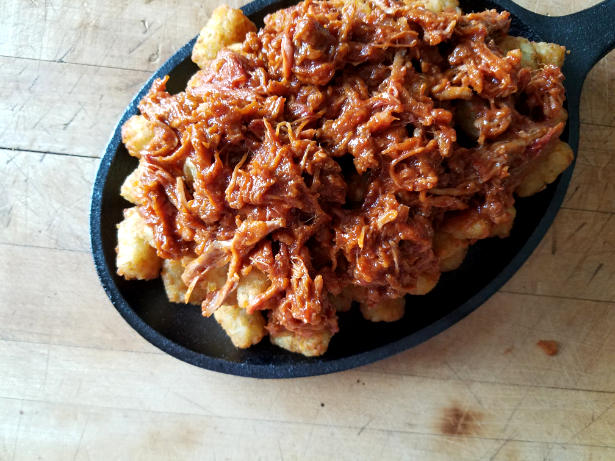 Spread the tots onto a baking sheet. Toss with 2 tablespoons of oil, right on the pan. Spread out and bake at 450, flipping once during cooking, until browned and crispy. Microwave the pork according to the package instructions until hot. 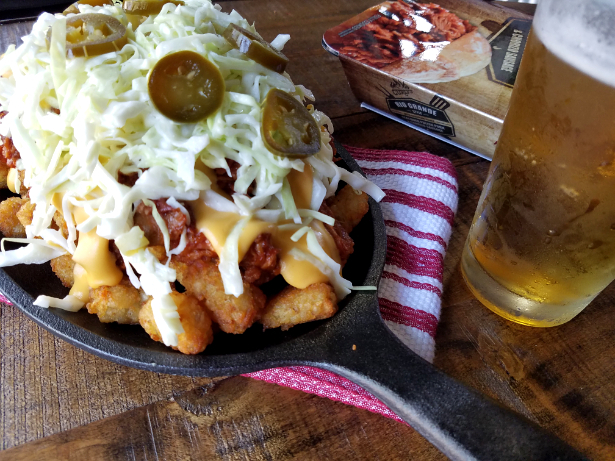 2.Place all the tots onto a plate or into a warm cast iron skillet. 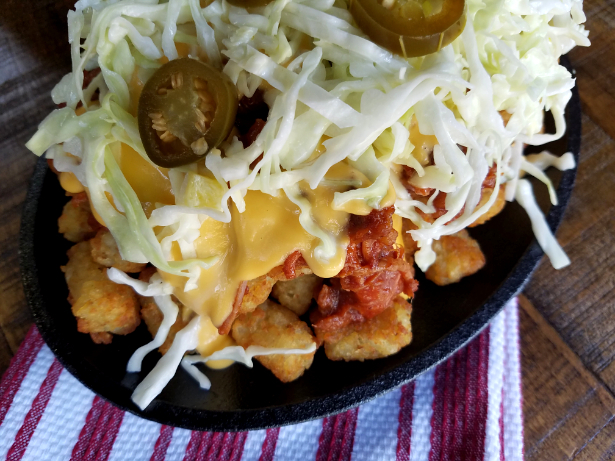 Place all the tots onto a plate or into a warm cast iron skillet. 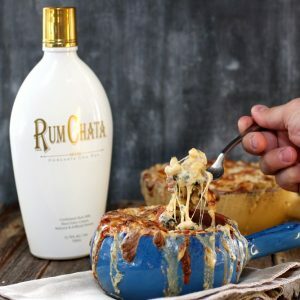 Pour on the cheese sauce. Finally top with the slaw and the jalapenos.